Any experienced content marketer will tell you that it takes more than flashy infographics and publishing content to be successful at content marketing. In order for you to generate leads from the content you create, the content itself and the experience are both important. Only then will you begin to generate and convert leads. The same applies for call-to-actions. Premium content is any downloadable content offer you have on your site such as an eBook or white paper. Typically you spend a bit more time, resources, and research creating it. The premium content is designed to offer so much value to visitors that they are willing to take an extra step and fill out a form in order to download. The better the quality, the more likely it is to convert. Premium content can take the form of videos, white papers, webinars, calculators, templates, reports, and much more. Why Give it Away If It Is So Valuable? You aren't really giving it away. In return for you providing the free download you're receiving information about your leads that will help you nurture them and move them along the sales process. Since the content, you are offering is so valuable, they are likely to fill out the form. The other benefit of giving away premium content is that it is likely to be shared on social media. Your visitors will want to share it and will get your brand out there by doing so. For you to succeed in content marketing, you will need to understand the audience to whom you are speaking. Additionally, you will need to think about how, when, where and why they are interested in your content. The start of this journey is by you defining the buyer persona. Understand their needs and thus their priorities. Once you know their pain points, you can start filling in these gaps with content. Come up with content that is effective and relevant to those who will be receiving it. Thus, each piece of content that you create should have a specific goal and purpose. For you to understand what your audience needs, you will need to grasp the buyer process. Thus, you must understand the awareness, consideration, and decision stages. However, you should also understand that this journey is not a straight line. Addressing the needs of each person at any stage of the journey is important. It's an important first step in building a content experience that converts. The headline should immediately give your visitors an idea of what they will get. Ensure that it's on a specific concept, or addresses a certain pain point which your ideal customers have an interest. A good headline is not about summarizing your content in one sentence. It's about inspiring readers to take further action. If you are unsure about the title, conduct a bit of research. Use customer surveys and PPC research to find out what your customers want. Everyone today who is serious about marketing produces some premium content. Thus coming up with original content may be a hassle. If some of your content has already been quite successful, you can repurpose it. For instance, if you have had a webinar, which has been shared widely, you can turn it into a white paper. Additionally, if some of your blog topics have generated a lot of interest, you should think of turning them into an e-book. If you have a lot of premium content that has received positive feedback, you should think of grouping it together as a single resource. For instance, you can create a knowledge center where content is sorted by type. This will make it easy for visitors to find what they need. It could also be a great way to start collecting more inbound links. Having a good call-to-action after delivering premium content is like pouring gas on a fire. 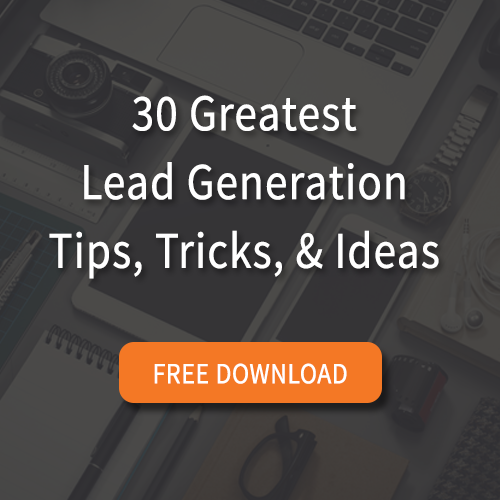 It helps to boost your chances of getting more leads. How Can You Optimize the Call to Actions? Come up with and test CTAs to see what works best for you and your audience. Here are a few essentials that should help you get started in the right direction. The CTA should have some kind of benefit for the visitor. It should highlight what the offers about while making it clear what the next step will be. If people aren't sure what they're getting from clicking on your CTA, they will most likely ignore it. The placement and button color of your CTA are also important. Do some A/B testing to find out the button that works best for your visitors. The CTA needs to reflective of the message in the headline if it is to succeed. The wording in your CTA should have a similar message to that in the headline. That way, visitors can establish a correlation between what they just read and what you need them to do. Studies have shown that a curious visitor is more likely to click on your content if you create a sense of urgency. Additionally, your CTA should have a sense of urgency. Create a feeling in the visitor that the offer is only for a limited time and they need to act now. If you have been struggling in your lead generation with premium content and CTAs, this guide should help get started on the right path. Don't be discouraged if you don't get it right the first time around. Do some testing to figure out what works best for you.